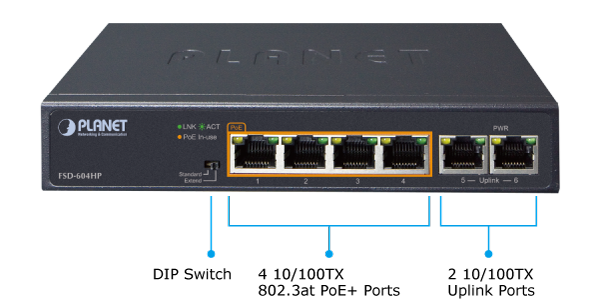 The built-in solid DIP switch provides "Standard" and "Extend" operation modes. 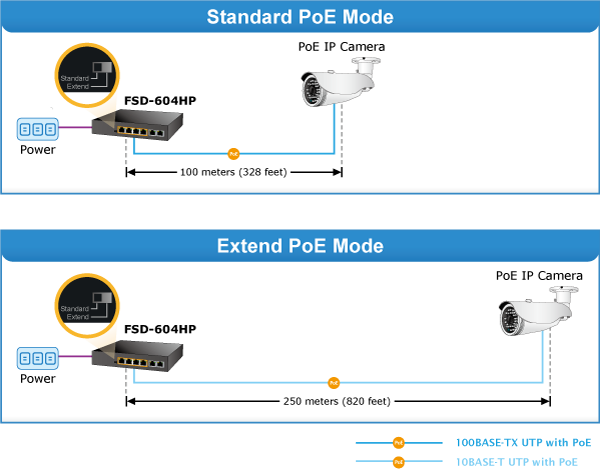 The FSD-604HP operates as a normal IEEE 802.at/af PoE Switch in the "Standard" operation mode. 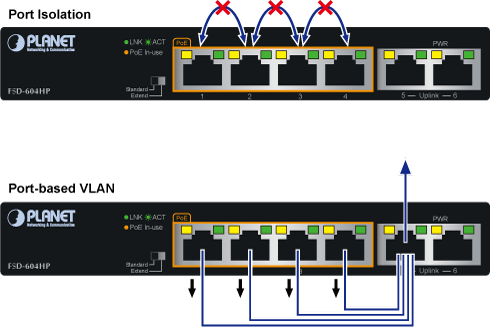 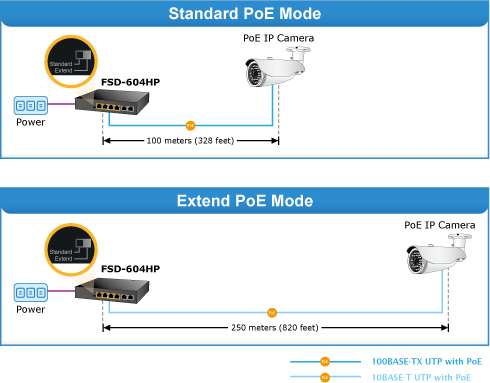 In the "Extend" operation mode, the FSD-604HP operates on a per-port basis in 10Mbps duplex mode but can support 30-watt PoE power output over a distance of up to 250 meters overcoming the 100m limit on Ethernet UTP cable. 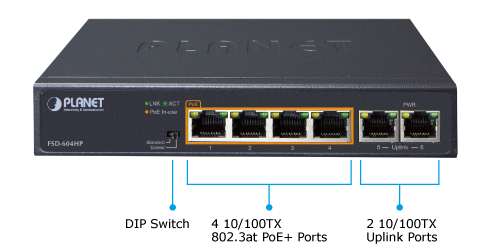 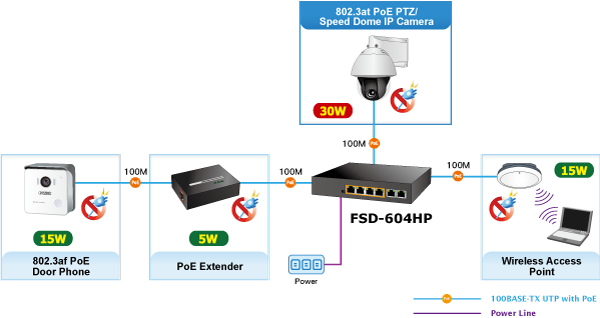 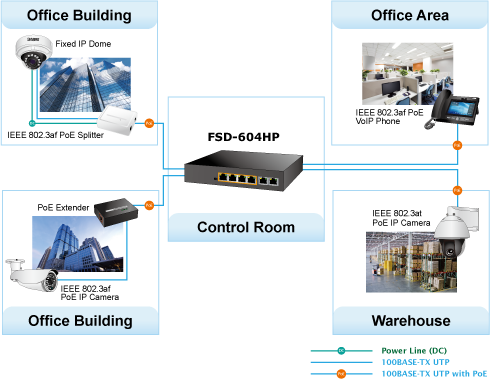 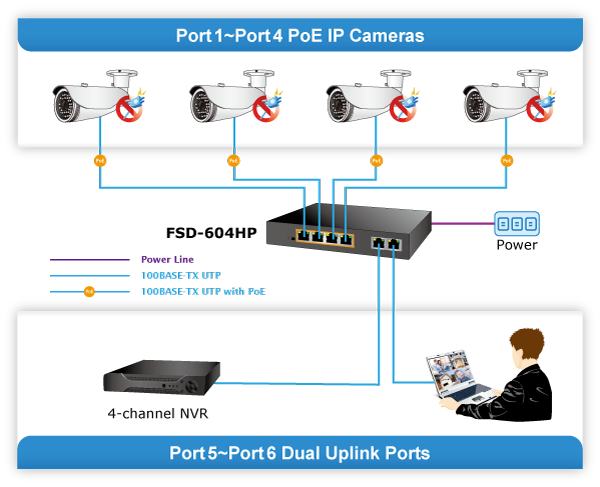 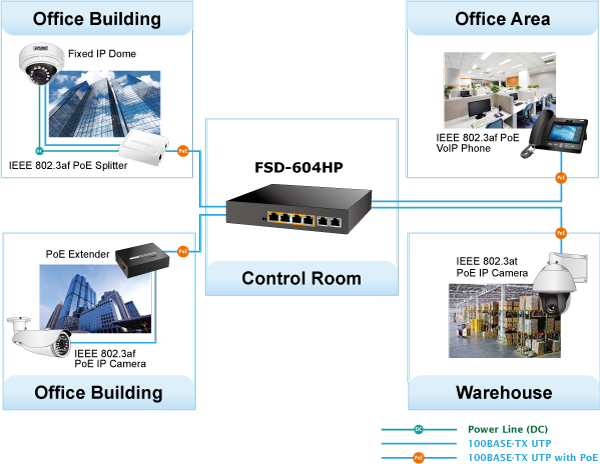 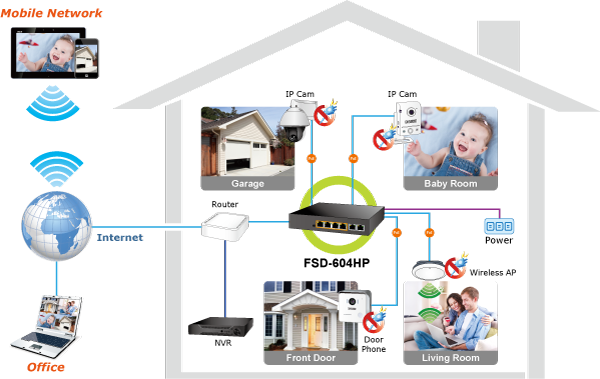 With this brand-new feature, the FSD-604HP provides an additional solution for 802.3at/af PoE distance extension, thus saving the cost of Ethernet cable installation.